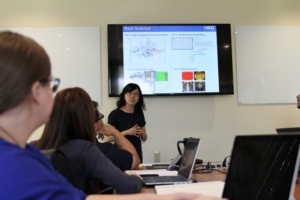 Microbial Discovery Group takes the product created for clients one step beyond just delivery. MDG offers training, educational programs and field support programs following product delivery to guarantee your bio-augmentation program is successful. Understanding the process and your new product determines whether or not your product will be a success or failure. These microbials are just one small piece of the big picture bio-augmentation process. Applying good science with a trusted process equals proven success. We are here to help your business and protect your reputation. MDG does continuous monitoring to review year-over-year data and measure based on the expected results of the product. We test and monitor the same product against different systems to determine what specific measures determine the best success. Knowing where you started from will help you get where you are going faster.